So today is my official first day of duty for American Crafts and I am sooo excited! I thought it would be a great time to show you this layout I created with the Amy Tangerine Sketchbook collection! I know it's a bit bright but neon is in and this collection is living up to that fun trend. This layout is from a baby bash some of us threw for my cousin Kim, I am soo excited for her and her hubby Jose, who are having a sweet baby boy this fall! I'll share photos of how we decorated for the shower very soon but in the meantime, here's a little peek at part of the theme - mustaches! My other cousin, Veronica made these cute mustaches and a frame for our party guests to pose with. My youngest daughter and I had a blast playing along. We got a cute this shot of us together. Supplies: American Crafts Amy Tangerine Sketchbook collection. Creative How To: I used the grey and black neutral paper as my background to offset all the color I was intending to use. 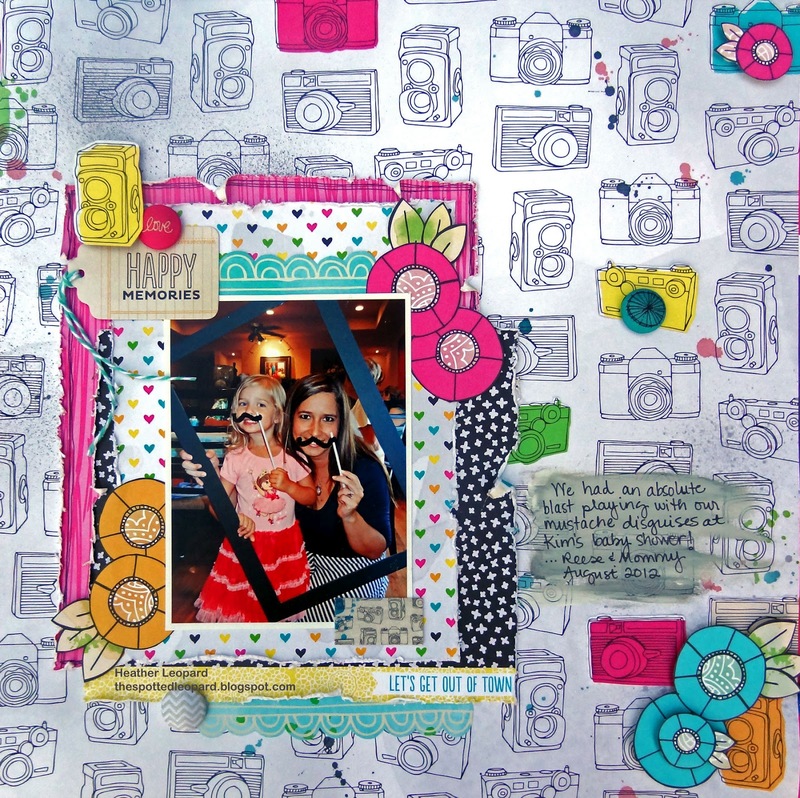 I misted over the sheet and then layered paper and bits of fussy cut elements, tags, brads and more behind my photo. I knew when I looked at the paper that I wanted to add more pops of color and lucky for me, there is another paper in this collection exactly like this neutral sheet but the cameras are colored in. Naturally, I cur out some of the cameras and placed them around the page. I then added fussy cut popped-up flowers and brands on some of them to add dimension. 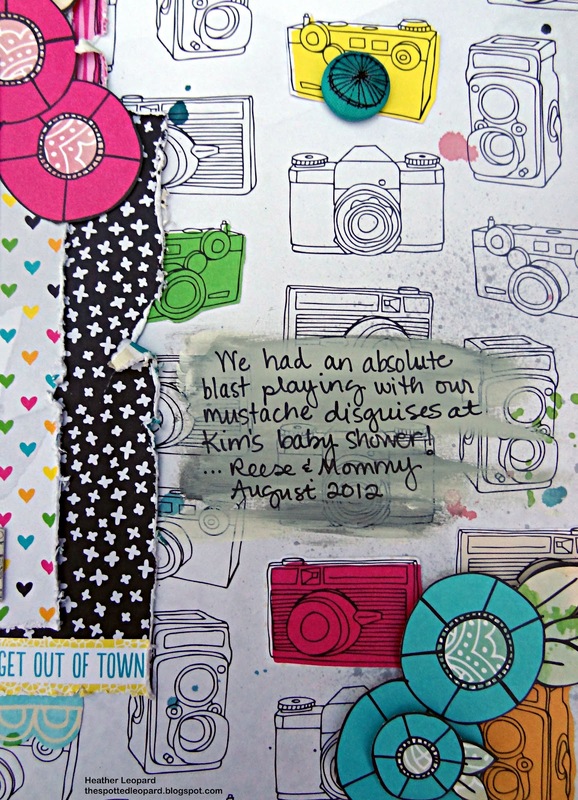 Journaling reads: We had an absolute blast playing with our mustache disguises at Kim's baby shower. Reese & Mommy August 2012. Thanks for stopping by today! There's more American Crafts projects coming soon! This is sooooooooo fun!! I loveeeeeeeeeeee the bright colors and love love love the photo!!!! Beautiful!!! so fun and super cute!! awesome work and love the photo!!! Fabulous layout, Heather!! And that photo is so cute!! Really great papers for a cute photos. What a fun layout! Fun photo! Congrats on the AC team! This is such a fun page! Love the splatters and fussy cutting. Congrats on the AC team! 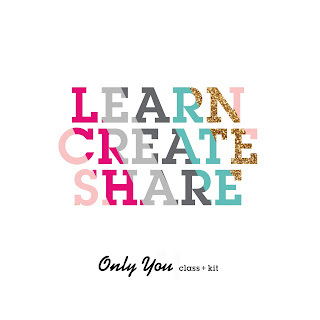 Can't wait to see what you create. So fun! I love it!! VERY fun way to use that bright paper--CLEVER to paint so that you can journal--GREAT job! Yay! I've been looking forward to seeing that photo in a layout! Too cute! I just want to eat her up!